I don't know if any of you who went to the game realized but there was NOT A SINGLE WATER FOUNTAIN IN THE PLACE. This one is just ridiculous to me, but it's true. I was never one to stand in line for concessions at Giants Stadium but I did have one ritual. At half-time, and when the game ended, I would walk to the nearest men's restroom and drink about a gallon of water at the water fountain located outside. They had one in front of every restroom at Giants Stadium. But whatever! It's a minor inconvenience in the grand scheme of things and they will allow you to bring water bottles into the place. I'll just have to remember to always bring one, and keep refilling it in the men's restroom sink. Take a look at the above post-game comments video. 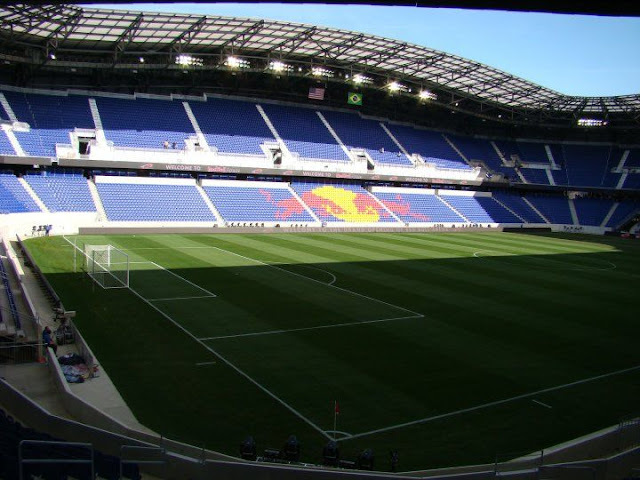 Very early on, the great Mike Petke refers to Red Bull Arena as a Cathedral (as we here on TVN have been doing every chance we get). Coincidence? I think not, since he follows us on twitter. Ha, ha! "This is the cathedral of football in America. If I get hit by a bus on Saturday night at 9 p.m. I won't care because I would have lived to see this stadium." My feelings exactly! Well, almost... 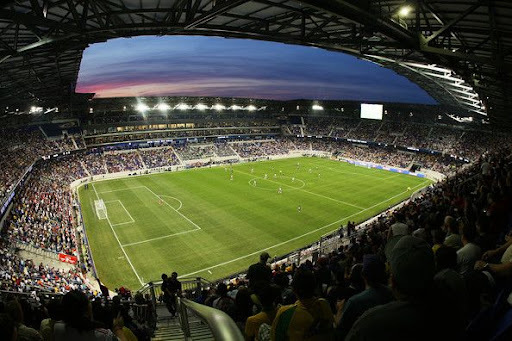 I'd actually like to live as long as I can to witness many, many, many Red Bulls games at the Cathedral of Football. 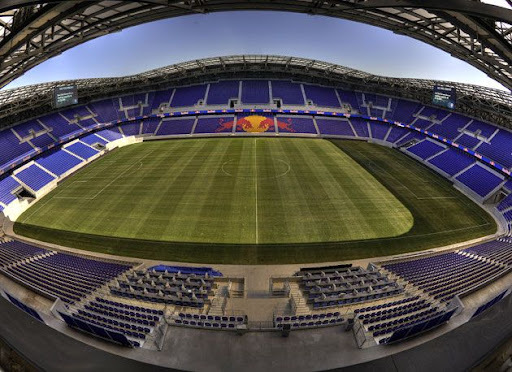 "As for the building itself there is nothing I can say that hasn't already been said other than there is no way this building gets built without Red Bull; for all of the stick they have taken over the years for everything from the name to the play on the field to revolving coaches you can't deny that they have done something truly special in building this stadium". The club officially announced the signing of draft picks Tim Ream, Irving Garcia and Conor Chinn. There is an English striker by the name of Luke Rodgers, currently playing for Notts County (the team formerly coached by one Hans Backe), who is rumored to be on the verge of signing with RBNY. If he does sign, he'll be coming in the summer. Former Red Bulls midfielder Dave Van Den Bergh has been waived by FC Dallas. 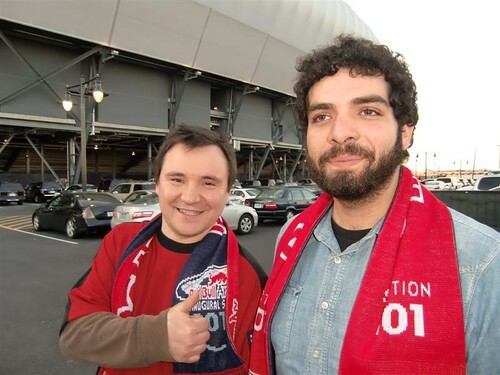 RBNY would have first dibs on DVB, as per the current waiver rules.